The December issue of WSLL @ Your Service is now online. 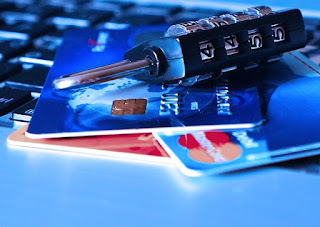 As always, your comments are welcome. Please direct them to the editor, Carol Hassler. 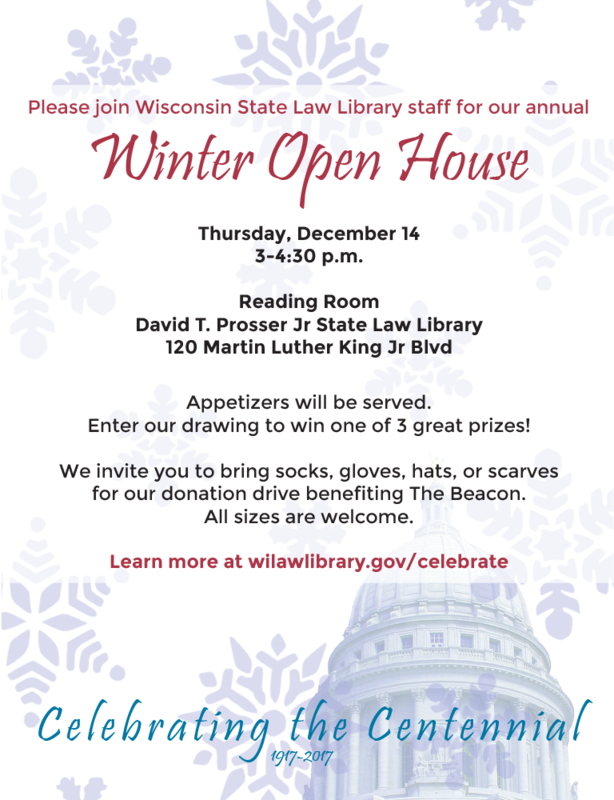 Wisconsin State Law Library staff invite you to attend our annual winter open house on December 14th from 3 to 4:30 p.m. in the David T. Prosser Jr. Library reading room. Every year we provide delicious appetizers and fun activities in a relaxed atmosphere that's perfect for socializing. This year we've created a trivia challenge in honor of the Wisconsin Capitol Centennial celebrations. Fill out the questionnaire correctly and return it to the Library by December 14th at 4 p.m. for a chance to win one of three great prizes. As a bonus, everyone who comes into the Library on December 14th from 3 to 4:30 has a chance to enter their name in the drawing as well. Drawing winners will be announced at the end of our open house, and winners have up to one month to pick up their prize at the circulation desk. 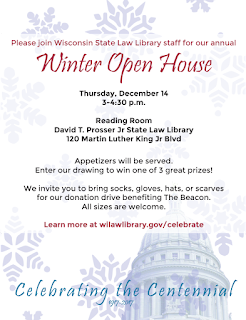 We're collecting donations of hats, socks, gloves, and scarves for The Beacon through January 12th, 2018. All sizes are welcome. Drop off donations in the collection box located in the reading room of the David T. Prosser Jr. Library. A representative from the Wisconsin Bureau of Consumer Protection will present information on identity theft and data breach awareness in this early December seminar. All are welcome to attend this free class! Registration is encouraged, but not required. You can register online or print and drop off a registration form. 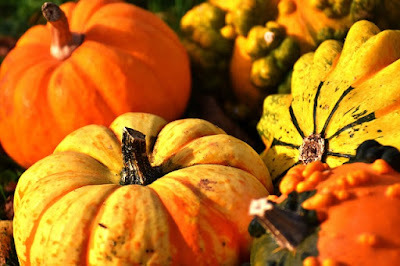 All three library locations will be closed on Thanksgiving, Thursday, November 23rd. The Dane County Law Library and the Milwaukee County Law Library will remain closed on Friday, November 24th. The David T. Prosser Jr. State Law Library will be open on Friday, November 24th.